Crescere Group [CG] is designed to provide small business owners ($50k – 10m) a single resource for their business needs. CG has assembled a team of experienced professionals that specialize in bookkeeping, tax, finances, business plans, and coaching. CG believes that a single vendor for the small entrepreneur is the better approach to solve the tasks that take away from your core focus – running your business! Giving you the insight you need on key details effecting your bottom line. Crescere Group provides personal tax services for our business clients and others who prefer a personalized approach to getting their taxes completed. We believe that an interview process with the taxpayer is the only effective way to get the taxes completed in a timely personal way. 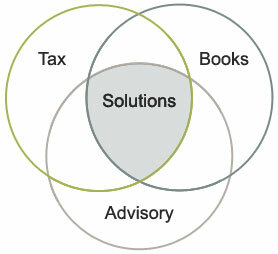 This approach also allows the client to ask questions and review their return before submission to the IRS. Whether you need expert help with your income taxes, bookkeeping for your business or guidance along the path to success we are here to help.